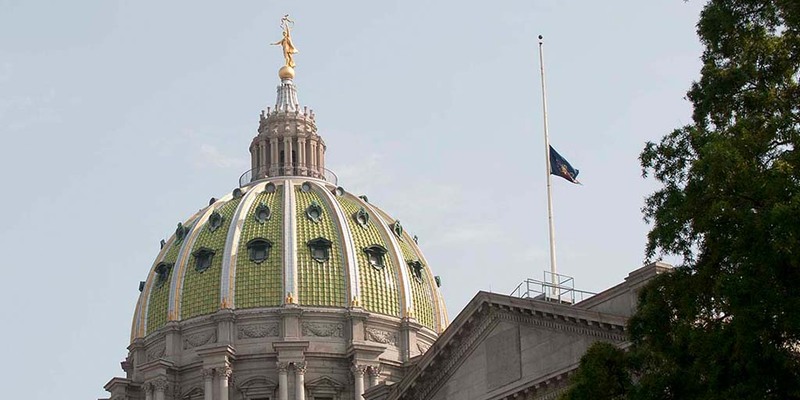 Harrisburg, PA – Governor Tom Wolf has ordered all commonwealth flags on the Capitol Complex, at commonwealth facilities, and throughout the state lowered to half-staff, effective immediately, in honor of all victims of the attack at the Tree of Life Synagogue in Pittsburgh, Pennsylvania. All commonwealth flags should be flown at half-staff until further notice. All Pennsylvanians are invited to participate in this tribute.